The beach design can be bright or pastel, depending on preference. 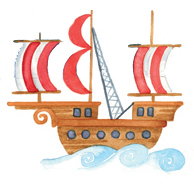 The illustrations can include shells, sandcastles, buckets & spades, deck chairs, kites etc. 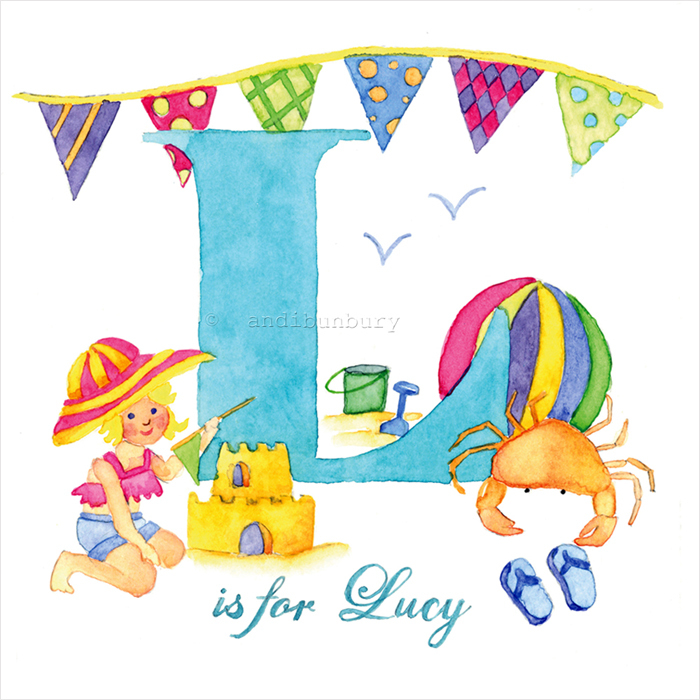 See the Beach design in the Girls Gallery page for further inspiration (although it should be noted that illustrations such as the beach hut and lighthouse tend not to work on the initial due to their larger size). This beach design works with any choice colour lettering, from pink or purple through to blue or red. This design, whilst shown here with a little girl, can be made more boy-sy with the appropriate choice of illustrations.